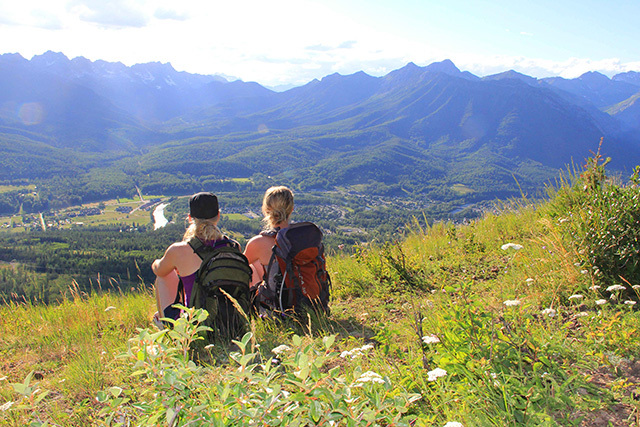 Expedia Viewfinder teamed up with Tourism Fernie to explore family-friendly activities in and around Fernie, British Columbia. At Expedia Viewfinder, we believe adventure can begin at any age. That’s why we’ve partnered with Tourism Fernie to highlight expeditions that are perfect for the whole family. The Canadian Rockies make up an area that serves as the unofficial border between the provinces of Alberta and British Columbia, and Fernie is located right in the heart of this picturesque region. 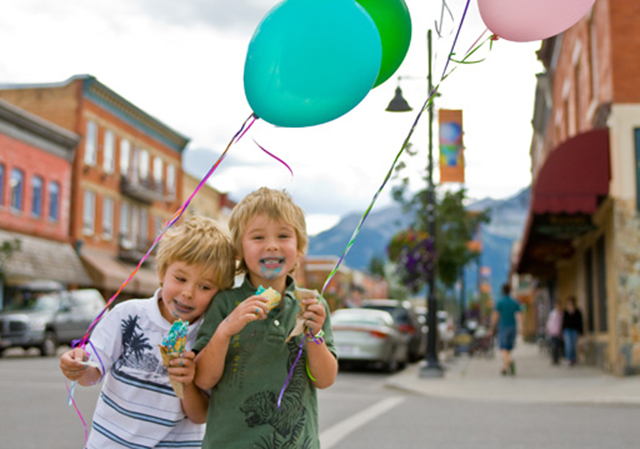 Along with famed nearby scenic destinations such as Banff National Park and Jasper National Park, the Fernie area boasts a number of vibrant attractions suitable for all ages. Families in search of fun and adventure in the Canadian Rockies will be spoiled for choice, and these are just some highlights to consider on an upcoming getaway to the area. 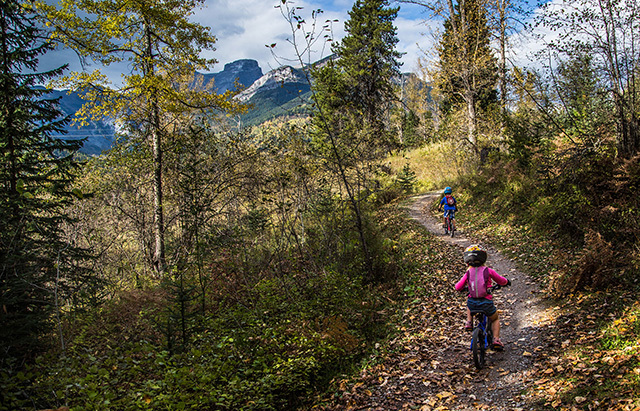 To make the most of the incredible terrain in the Canadian Rockies, take the whole family to Castle Mountain. Located on Morrissey Ridge, Castle Mountain offers the perfect 5-kilometre (or 3-mile) trail for any fitness level. There is some serious elevation gain to better provide stunning views, but there are vantage points perfect for a break as well as benches suitable for a quick rest. Families with younger children will love the beautiful easier hikes (around 2 km /1 mile) at Fairy Creek Falls, Ancient Cottonwoods Trail or the Old Growth Cedar Trail. The crystal clear waters of the Elk River flow through the centre of Fernie. 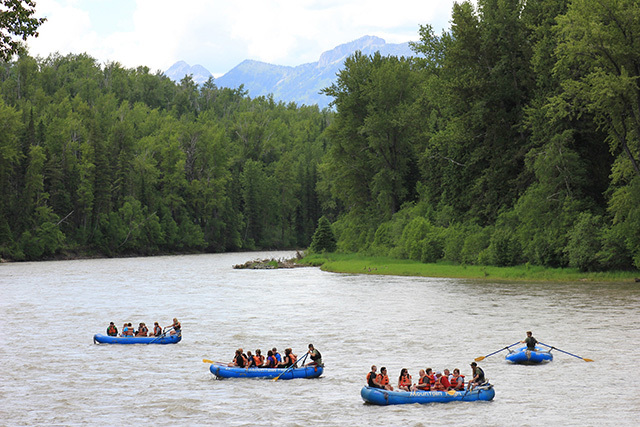 A family scenic float trip is a great way to spend an afternoon enjoying the panoramic views and wildlife, spotting local flora and fauna (including blue herons) beneath the swaying cottonwood trees. Families with older kids will love the amazing thrills of a whitewater rafting trip on the lower Elk Canyon, which offers huge rolling rapids and tons of fun. If a single afternoon of the great outdoors just isn’t enough, bring the whole family to Mount Fernie Provincial Park for an overnight camping adventure. 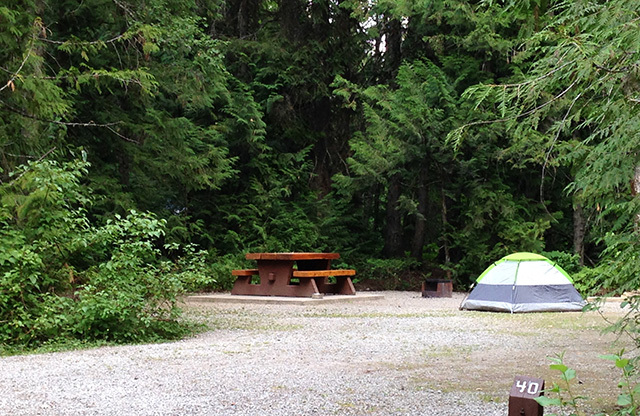 Located just outside the ski resort town Fernie, the campsite offers fire pits, picnic tables, onsite showers, and plenty of incredible opportunities for hiking and cycling. 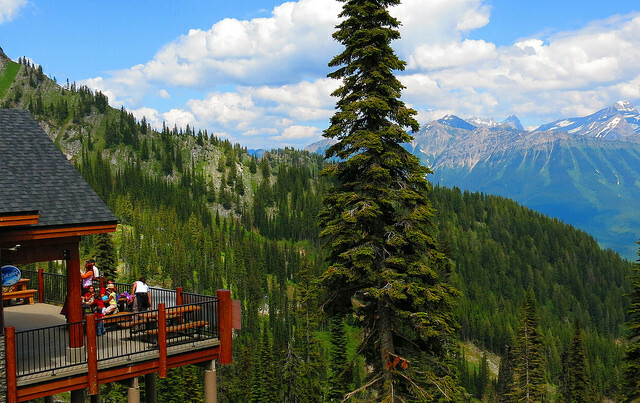 Within Mount Fernie Provincial Park it is possible to spot old growth trees, elk, deer, black bears, and even several waterfalls. 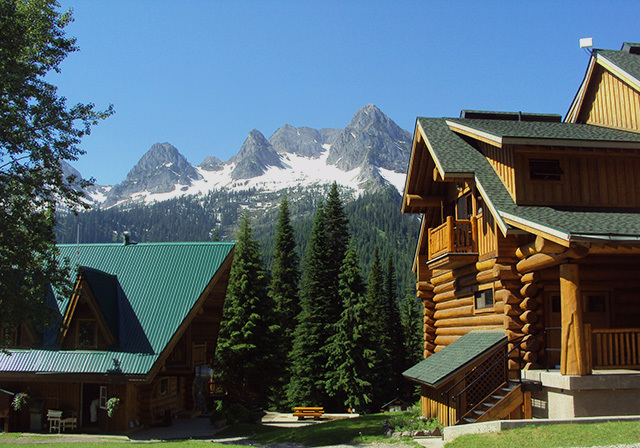 “Paradise in the Rockies” is what many say about Island Lake Lodge. The tranquil lake nestled in a lush forest of majestic red cedar trees with towering peaks at every turn. The three lodges provide a base for families to enjoy nature walks around the lake, a gentle canoe, or alpine hikes for those more adventurous. Enjoy a scenic lunch or dinner on the patio and stay the day or overnight. With exquisite dining, lodging, and a spa, Island Lake is a destination on its own for family getaways. Fernie is one of British Columbia’s premier Mountain Biking destinations with over 100 trails in 6 distinct areas offering everything from casual forest trails to extreme descents. Families will love the gentle riverside community trails and fun cross-country trails such as Old Stumpy or What’s Up Doc. The free Dirt Jump Park next to the Aquatic Centre and Splash Park is popular with kids of all ages and has professionally built jumps, bumps, and stunts. 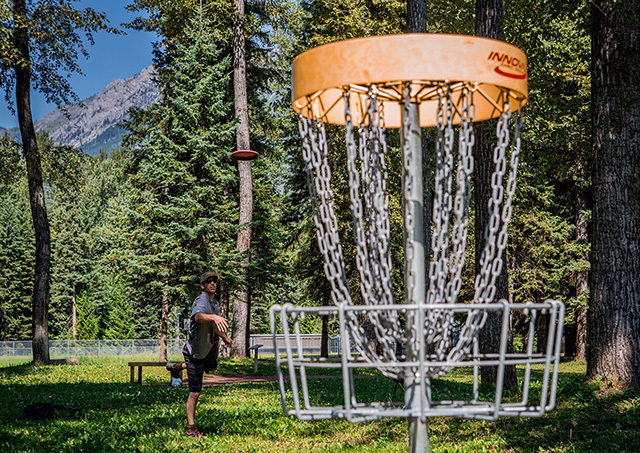 Soak up the sun and test out hand-eye coordination at the Lizard Range Disc Golf Course in James White Park, Fernie. With an 18-hole course, players can get in a serious workout and burn off some energy at the city park that does double duty as the disc golf course. Most shots are taken 300 to 400 feet away from the hole/basket, and players of all ages can get involved and have a blast. Fernie’s downtown on 2nd Ave is packed with amazing things to discover. Visit the fascinating new permanent exhibit ‘This is our Fernie’ at the Fernie Museum, where you can learn about the legends of the area including the story of the Griz and the Ghostrider. Cure a sweet tooth at Beanpod Chocolate, one of only a handful of chocolate makers still making chocolate the traditional way using machines dating back to 1948. Here you can watch the whole process through the giant viewing windows while sipping on fresh hot chocolate and sampling the amazing array of chocolate bars, truffles and macaroons. For a cool treat, try the affogato—house-made gelato topped with espresso made from beans roasted in-house. At Clawhammer Letterpress & Gallery, watch as printmakers create beautiful works of art on antique printing presses and enjoy the gallery of local paintings and pottery. More places to discover include the Miner’s Walk, with local sculpture and children’s interpretive challenges, and the Fernie Courthouse, named one of BC’s best buildings by the Architectural Foundation. At the Fernie Alpine Resort, it is no secret that the best views are found on the Timber Express Chairlift. Open July through August for summer visitors, the chairlift gives riders a 360-degree view of the Rocky Mountains. After the ride up the mountain, passengers can head straight back down, or they can disembark for an al fresco meal at Lost Boys Cafe or a hike along the family-friendly Lost Boys Lookout Trail. Also at Fernie Alpine Resort, the Aerial Park is fantastic fun for kids, with over 25 amazing high-rope challenges from rickety bridges and cargo nets to rolling barrels and floating islands--all 30 feet up in the air! Three mini ziplines and a leap of faith add to the excitement. 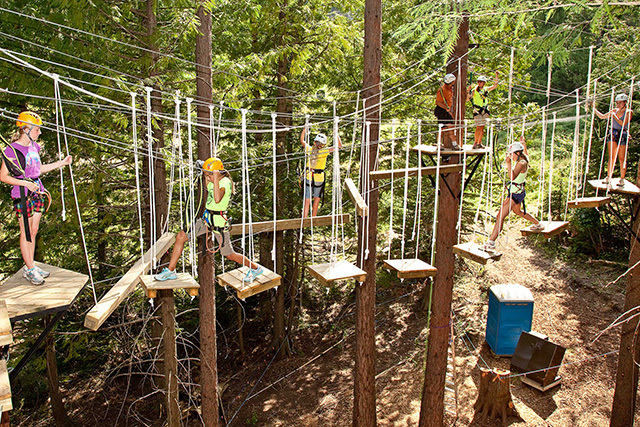 Little kids will enjoy testing their skills on the free adjacent mini ropes course. The whole area is managed by trained adventure specialists, so there’s plenty of support and safety gear. For a fun adventure the whole family will love, the Canadian Rockies is an amazing vacation choice. From chocolate tastings to scenic chairlift rides through the mountains, this unique Canadian destination truly does have it all.